Posted by Cyril. November 26th 2015. The Akita Inu has been helping people since the 17th century and can be traced back to north east Japan, where the dogs were used for hunting bears. The word “inu” means “dog” in Japanese and the animals were also used for fetching and security. The Akita Inu is a large (up to about 25 inches), strong animal, with a short coat similar to the Siberian Husky, another spitz breed built for the cold weather. Their tails are carried over their backs or to the side in a gentle curl, while the eyes are generally small and deep set. The ears are small, pointed triangles. The coat consists of a fluffy first layer and a second layer of short straight hair. The colouring is typically red, white, grey or black stripes. The temperament of Akita Inu is brave, obedient and intelligent, making them excellent guard dogs or watch dogs. They are often aloof and suspicious around strangers but very loyal to owners and family members. They are willing to accept children and will protect them but can be impatient with young ones if provoked. A dominant dog, the dog needs to be socialised with other animals at an early age to avoid confrontation. 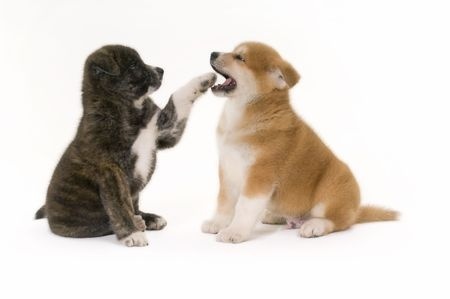 Akita Inu are relatively easy to look after, with only occasional grooming required. More brushing will be needed during the malting period to remove hairs. The dog will probably need to wear a muzzle when out walking as it may attack other dogs if it has not been socialised from an early age. Akita Inu enjoys long walks and, because of its coat, is happy to be out in cold temperatures. About two hours a day exercise is ideal but, when fully mature, will accept as much or as little as you offer. 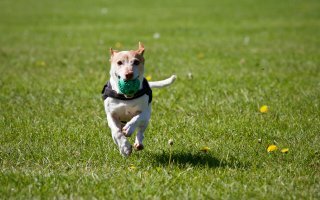 Training from an early age is recommended to make the most of the dog’s intelligence and personality. The life expectancy of Akita Inu is about 10 to 12 years. Because of its origins, the breed appears to be slightly more susceptible to problems relating to its immune system than other breeds. 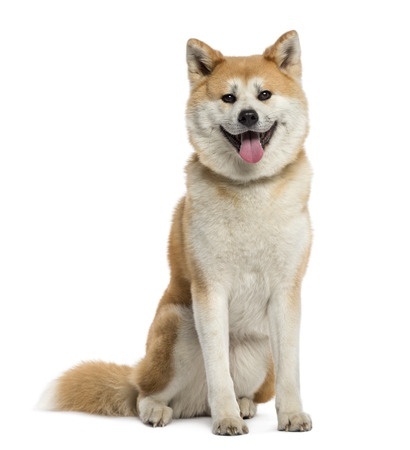 Akita Inu are also susceptible to inherited conditions such as type-1 diabetes.